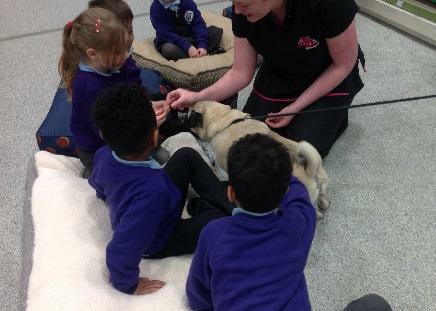 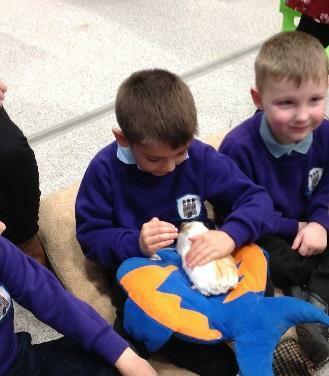 Robins and Puffins walked to Pets at Home to find out about animals that can be pets. 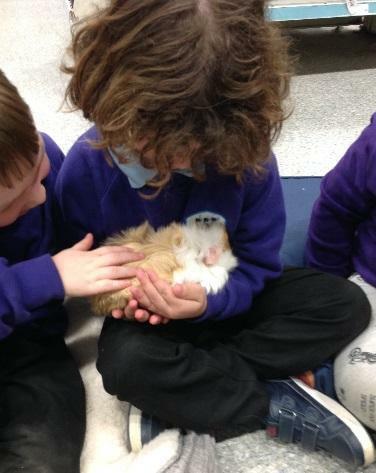 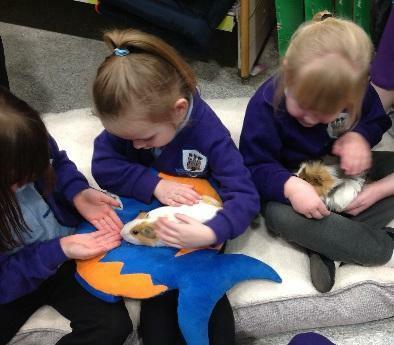 They held guinea pigs and talked about what they like to eat. 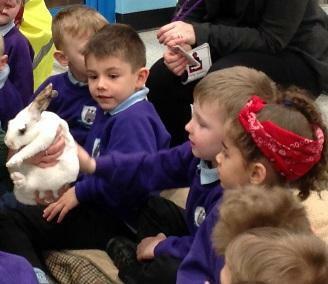 Robins stroked a pug dog called Oscar and Puffins stroked a rabbit. 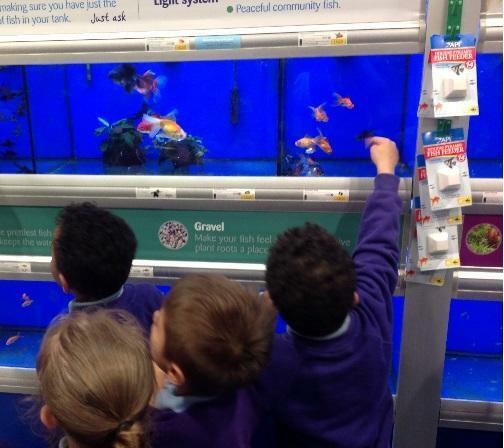 They looked at lots of different fish and found out what fish need to be healthy.